Spread Awareness about the most precious & irreplaceable bounty of nature, that is “WATER”. Connecting with the Earth, our under-privileged fellow beings and all living creatures & plants, “Neeranjali”, has been formed with the intent of Conserving Environment. NEERANJALI IS A REGISTERED NGO. “Neer” means Water; “Anjali” means offering with devotion to God as well as to help people in need. It is a mode of worship by joining both hands. 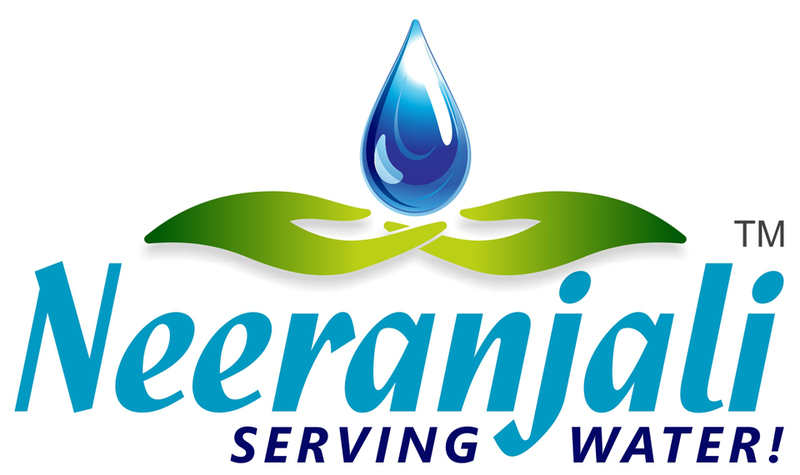 The logo of Neeranjali depicts this where the water drop is shown in Blue and hands, in Green, to represent nature. “Neeranjali” is a Pure entity; as Pure as Water, an elixir, as it was & is meant to be. It intends to flow, as is Water’s nature to flow, ‘undeterred’. Neeranjali is working in many directions and thus flows as a pristine river with its tributaries & distributaries. As a group on Facebook, is but only one of Neeranjali’s multi-funtional identity); and its magnitude and authenticity becomes apparent when seen from a higher dimension. On facebook, please LIKE the PAGE of “Neeranjali” and to support, volunteer, interact & contribute towards the cause initiated by “Neeranjali”, please make your friends and folks JOIN the GROUP “NEERANJALI”. 1. Spread Awareness on Water Conservation & Safe drinking Water. 2. Help keep Water Bodies clean. Use your contacts/connections in the Government departments to work for betterment & welfare. ‎3. Inform us if there is any need to donate tanks at a genuinely Charitable organization. ‎4. Grow more plants & trees to help combat the detrimental changes in environment. 5.”Serve Water” to the thirsty beings and drying/withered plants & trees. 6. Encourage Rain Water Harvesting, Drip irrigation, sprinklers or other methods to Save/Conserve/Recycle Water. 7. Provide bore-wells for the farmers in remote villages for better crop production & economic stability. 8. Any activity that works for the Welfare of the society to make this world a happier place to live. “Team NEERANJALI” wishes you all a Blessed life!